In 2018, Indianapolis Shakespeare Company introduced our Traveling Troupe, the community and education outreach arm of our organization. Through this professional extension of our Company, we presented a 45-minute version of Shakespeare’s Macbeth June 2018, at various summer camps, day care settings, senior facilities, churches, and libraries. Indy Parks public performances included Garfield Arts Center, Perry Park, Brookside Park, Broad Ripple Park, Garfield Arts Center, Watkins Park, Martin Luther King Park, Frederick Douglass Park, and Tarkington Park. 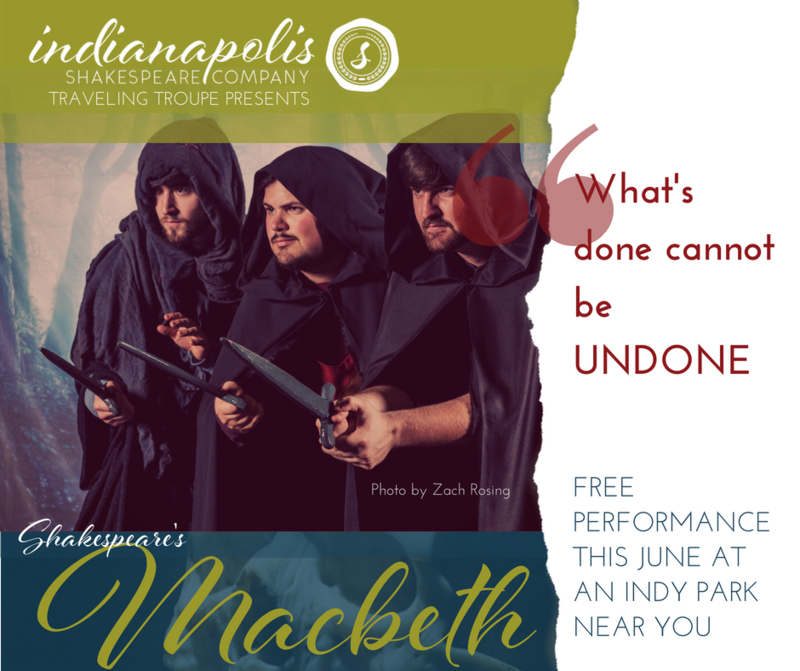 Thanks to the support of the Indianapolis Parks Foundation and Indy Parks, Indy Shakes provided programming within Indy Parks to bring free, high-quality Shakespeare productions to several parks across our city. There were approximately 12 performances for schools, day camps, and other organizations that are not open to the general public, including a performance at IPS Center for Inquiry 70, underwritten by the Can Lady Project.